These V-Hire drivers are maniacs. 6 now dead, 4 others critical. 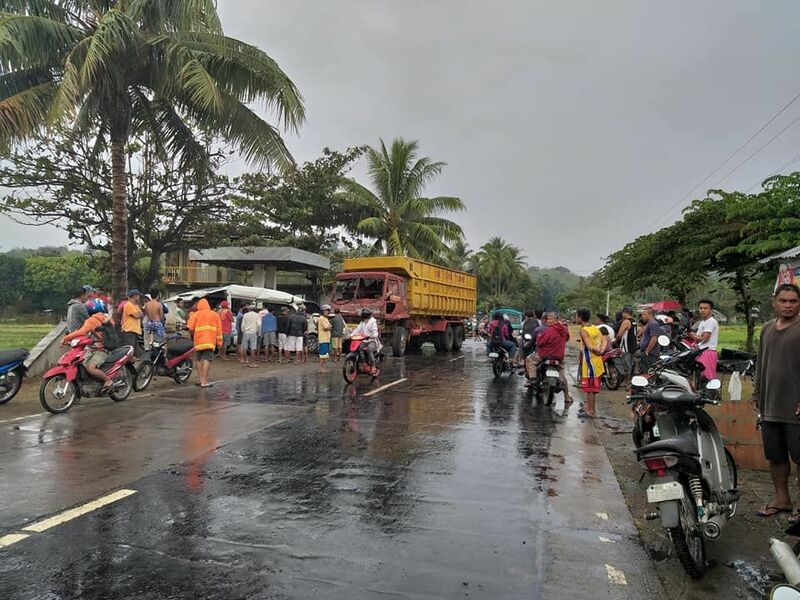 DUMAGUETE CITY — Five high school students were killed and 10 other classmates and their teacher were injured when the V-hire passenger van they were riding swerved and ran right into the path of an oncoming cargo truck at 6:20 a.m. on Friday in Barangay Mayabon, Zamboanguita town of Negros Oriental. Police identified the fatalities as sisters Cherry Rose, 17; and Cherry Ann Kadusale 17; Joshua Busmeon, 18; Kevin Aguilar, 14; and Christian Buenconsejo, 17. The injured passengers were identified as teacher John Mark Prestin and students James Bagarinao, 18; Elmar Toquero, 17; Justine Generoso, 18; Willie CJ Chua, 17; Jesse May Cabanal, 18; and four others who remained unidentified. 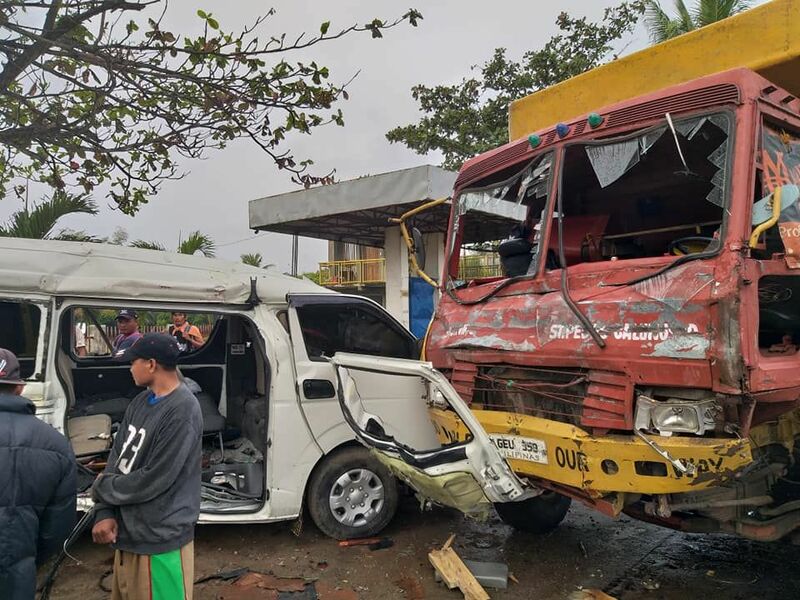 The fatalities were members of the MathSayaw team of the Basay National High school, who were returning home from a competition in Cebu City. Police said the V-hire driver, Jaypee Sarad, 29, lost control of the vehicle and swerved to the opposite side of the road which was slippery. Some of the victims were rushed to the Silliman Medical Center while the others at Negros Oriental Provincial Hospital in Dumaguete City. But the attending physician pronounced three of them dead on arrival. I believe the passengers want the speedy driving. Not just a hunch, but what people say. They take a van rather than a bus because it is quicker. Also, many people don’t drive themselves, and may not have the same sense of danger. My wife learned to drive, but never wanted to get a license. She came to realize just how many dangers can develop in the course of even a simple drive. I've also notice many of the van drivers seem to drive in the same fashion as a motorcycle driver. They get as close as possible to whatever is in front, and then lean their head to peek to see if it is clear. I would also wager that few, if any, in the van had seatbelts on. No way to know if that would have helped in this instance as this seemed to be a side collision. Straight road, but wet. "Lost control" is a different way of saying drove beyond the safe limits. There is not likely to be any change to this for a long while. The drivers are incentivized to make as many trips in a day as possible, as they don’t get paid a flat salary. Vehicles are poorly maintained and drivers are inexperienced. Little to no traffic enforcement on rural roads, mixed traffic on narrow and badly maintained roads, and the list goes on. No simple solution. Absolutely correct on all counts !! Have ridden the Tuburan to Cebu City V-Hire many times.. and it's one reason I prefer to drive myself. Not all V-Hire drivers are crazy.. some prefer a more leisurely pace. And not all passengers want break neck speed either.. like me for example. I remember waiting with one lady at the Ayala V-Hire terminal to Tuburan as she actually PASSED on bad drivers.. waiting for a driver she preferred. Likely had to wait 30 to 60 minutes extra. But unfortunately, most passengers seem to want fast. Very Sad . My heart goes out to there families .